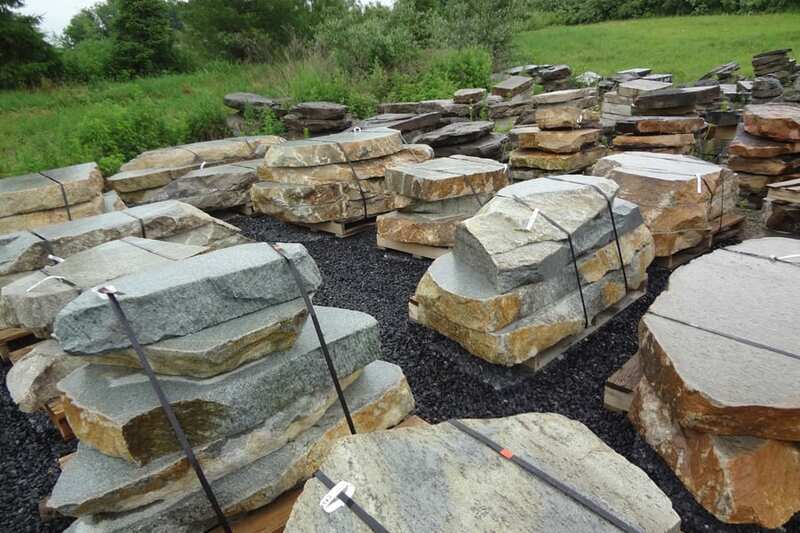 Multiple pieces are sawn from a single boulder to stunning effect. 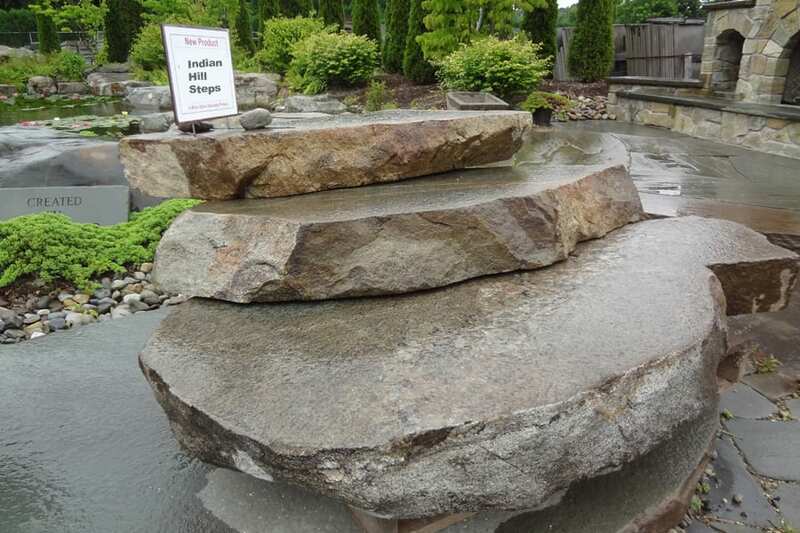 These are exceptionally beautiful and unique natural stone steps. Sawn surfaces are smooth but not slippery. 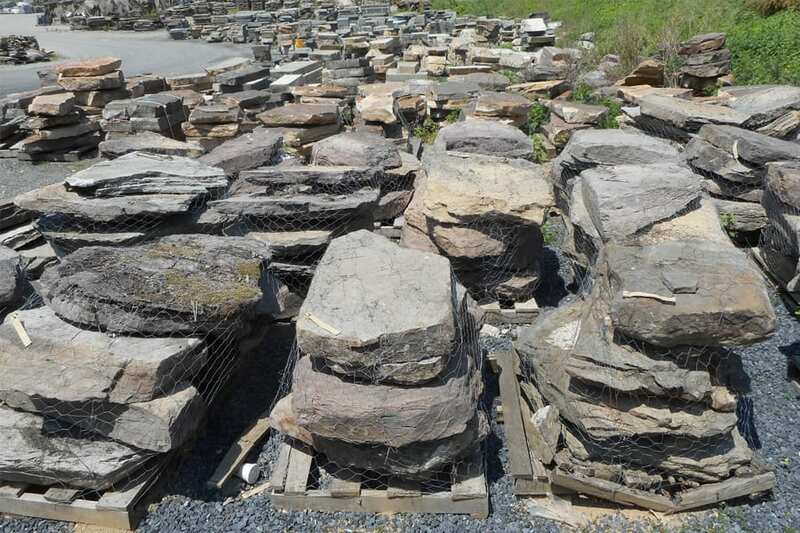 This is a product exclusive to Wicki Stone. Light gray and light brown are the primary base colors but a range of accent colors can mix in on any given piece. Completely natural. 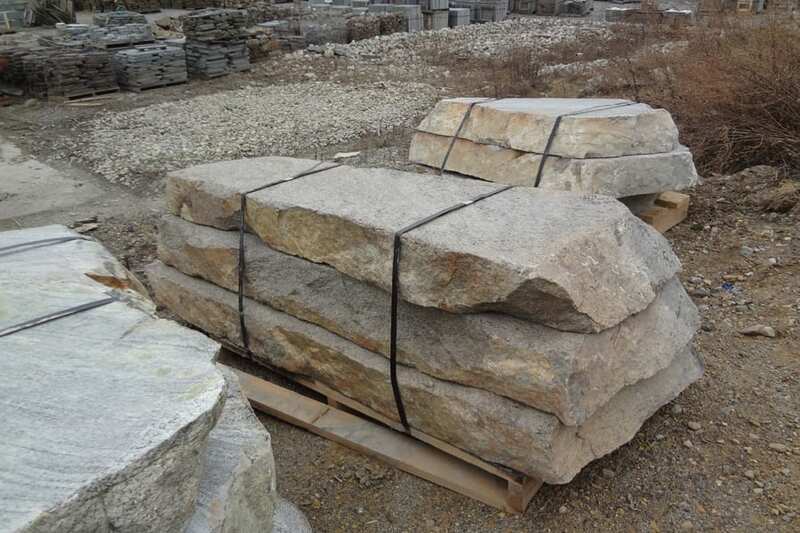 Edges are highly irregular, top surfaces are sawn so they are smooth but not slippery. Instantly gives a classic, aged look to any landscape. Steps are sawn to 6" riser heights. Length and width are highly variable and depend on the set. It is not uncommon for each step in a set to be 3-4 feet wide, 2 - 3 feet deep, and 6" tall, but that can vary widely. We have some sets that are much longer, and certain sets can have significantly smaller lengths and widths. 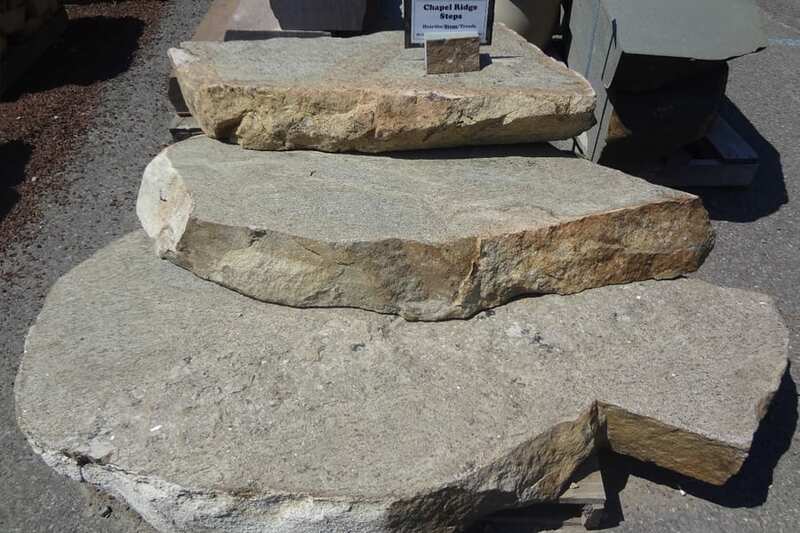 Indian Hill has proven to be one of our most popular natural stone step choices. Every set is very unique, each is truly one of a kind.